With a year to go to the 2015 general election, the national disability charity, United Response, is launching its Every Vote Counts Election Planner today. Aimed at individuals and organisations working with people with learning disabilities or other “hard to reach” groups, the planner breaks down into 10 steps the processes and information needed to prepare people with learning disabilities for the election. 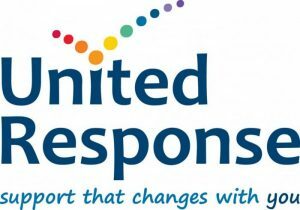 The Election Planner is part of United Response’s wider Every Vote Counts campaign. Launched in 2010, ahead of the last general election, Every Vote Counts sets out to raise awareness about the right of people with learning disabilities to vote and aims to break down the barriers preventing many people from using their vote. “Thanks to the commitment of all those working in the learning disability sector, 2010 was the first election at which all main political parties produced accessible versions of their manifestos and more people with learning disabilities voted than ever before. The printout and keep planner provides suggestions on how to prepare people for the election. Step one encourages those working people with learning disabilities to start talking to the people they support about voting, and any specific barriers that people may be facing. In light of the new individual registration scheme, step two reminds people to check early on about people’s voting status and whether or not they are registered to vote. Legal barriers, such as the Mental Capacity Act are covered in step 3 and step 4 highlights ways of ensuring people are kept well informed on developments in the news and politics. In step 5 people are encouraged to discuss what voting means. Steps 6 and 7 cover ways in which people can engage in politics prior to the election, such as attending surgeries and staging a hustings. Looking at whether information is available to people in an accessible format is covered in step 8. Steps 9 and 10 cover the practicalities of voting, including mobility issues and other possible barriers on the day. Alongside today’s planner, United Response will be issuing regular updates over the next year, looking in more detail at the different stages of the planner and sharing best practice ideas on supporting people to use their vote. Be the first to comment on "Exactly one year from the General Election 2013, charity launches Election Planner to get disengaged groups voting"